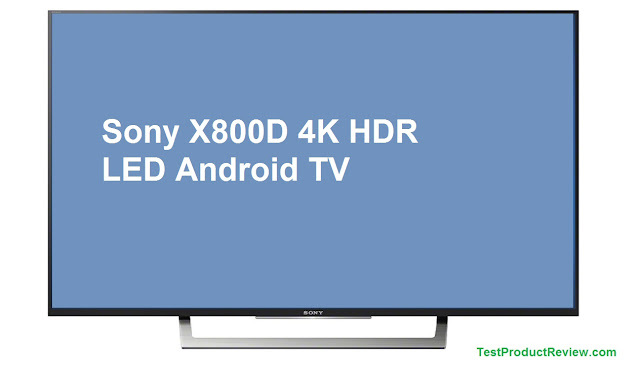 Looking for a bargain 4K TV? You may just be in the right place. Sony has recently released the X800D models for pre-sale and the price range cannot be more different than last year’s flagship 4K models which would have cost you up to $8000. The X800D is offered in 43’’ class (42.5’’ diag) and 49’’ class (48,5’’ diag) which are currently sold for respectively $599.99 and $649.99. 4K High Dynamic Range: The 4K resolution offers four times the number of pixels on a standard full HD TV and the HDR compatibility gives the viewer the wide range of brightness, colour and detail. It also supports HDR content offered by Netflix, Amazon Video etc. The design of the Sony X800D is simply made to match your space. Slim design and clever cable management make it easier to enjoy the brilliant quality without much hassle. The metallic stand supports the TV well, measuring 8.6’’ x 20.1’’. The TV itself is very thin, 1,73’’ maximum thickness for easy wall mounting. The screen borders measure 0,39’’. The X800D can provide great movie and television shows experience, but it’s also highly rated for gaming as it’s very responsive with practically nonexistant input lag even with HDR turned on. It also performs great as a dedicated PC monitor.